What is NTFS file system? NTFS is the short term of New Technology File System, which is an advanced and new file system for Windows. It is developed by Microsoft and started from Windows NT 3.1. Then it becomes the default file system of Windows NT family. NTFS has several improvement and many merits over FAT file system, such as it improved the support of metadata and the use of advanced data structure which aims to improve performance, reliability and disk space utilization. Nowadays, most partitions on hard drive uses NTFS file system. Hard drive is the vital component of computer or server to store users’ precious data and install operating system and programs. Hard drive is usually divided into several NTFS partitions and each partition stores great amount of data. System is installed a separated partition in case that system crash leads to data loss. However, in certain circumstance, NTFS partition can be damaged by a set of causes, and data still can be lost. You may come across difficult issues and NTFS partition recovery will be needed. Disk formatting: Once the entire hard drive gets formatted, then all partitions on the drive will be erased. Unintentional hard drive or USB drive can cause the loss of NTFS partition. Partition Deletion: Disk Management and most third partition manager are able to delete partitions. And this function can be misused by some computer newbies. Facing all these partition loss problems, NTFS partition recovery software can help you out of the trouble. When a partition gets lost, partition recovery program can scan the drive and analyze partition table information and find the lost partition. The partition table can be repaired after which lost partition will be accessible again. How to recover lost data from NTFS partition? 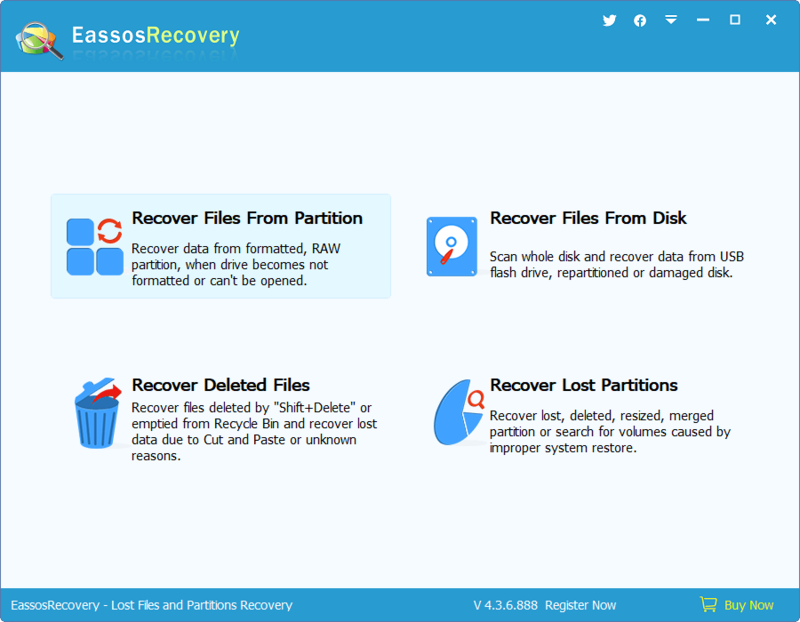 Step 1: Install this recovery software to the partition which doesn’t need recovering data. 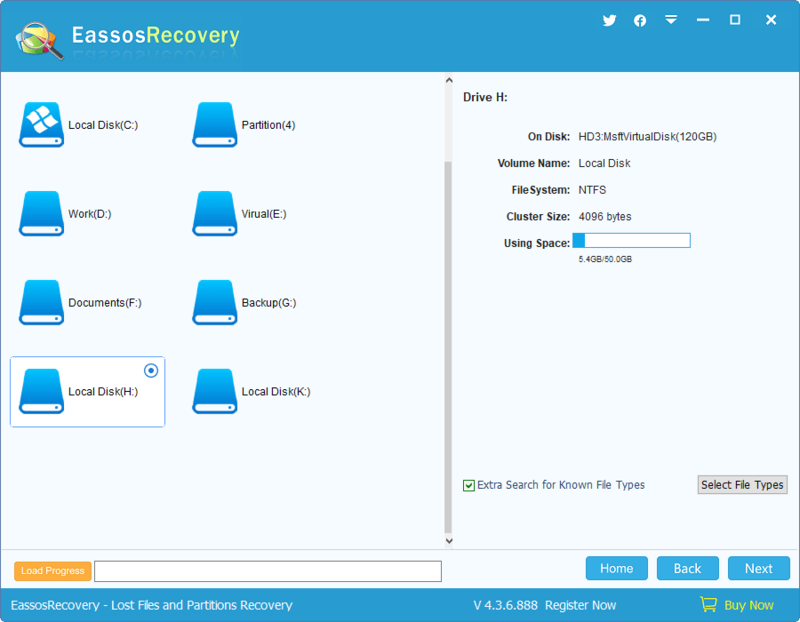 Step 2: Start Eassos Recovery and select recovery mode for the problem partition. Step 3: Select the NTFS partition and click “Next” button to scanning the partition. Step 4: File preview and partition recovery. 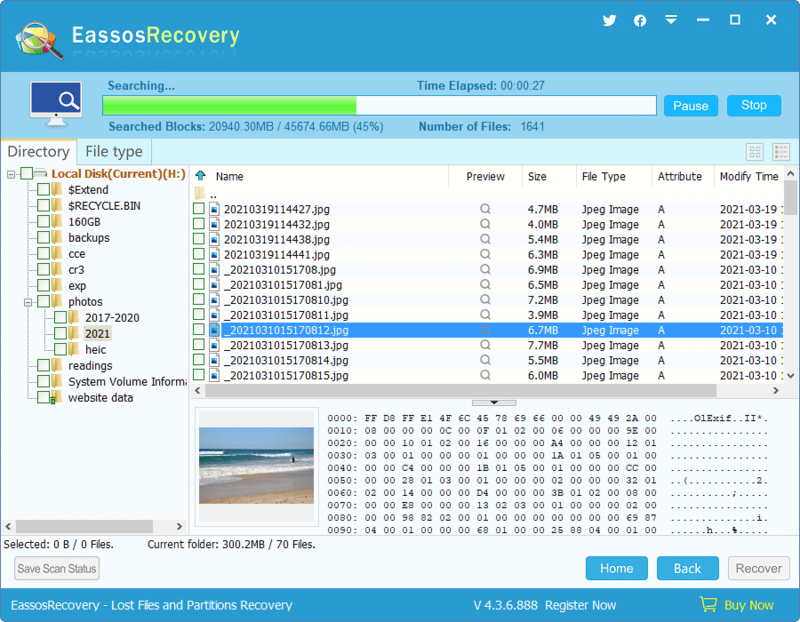 This entry was posted in Data Recovery, Partition recovery and tagged free partition recovery software, NTFS partition recovery, partition recovery, recovery software by EASSOS. Bookmark the permalink.